Cummins DKSH (Myanmar) limited hosted the Cummins Brand Launch ceremony introducing the complete Cummins product range and their nominated partners in Yangon on October 25th 2017. The theme of this event was “Cummins powering a more prosperous Myanmar”. The official launch ceremony held at Novotel Yangon Max was hosted by CDM, together with local partners Aung Hein Min & Star Global Distribution, as well as the local Cummins business, product and support functions. More than 300 guests attended the event including key Power Generation, Marine, Rail, Mining, Construction and Automotive customers. The event focused particularly on the Power Generation market but also included product stands for New & ReCon Parts, Filtration, Engines and Cummins Valvoline Premium Blue. Milind Madani, Managing Director of Cummins DKSH South East Asia, remarked, “This was a successful event to demonstrate ‘Power of One Cummins’ and our plans for future growth. More importantly, it has been an excellent opportunity for Cummins sales leaders in Asia Pac and CDM to meet customers across key product segments, learn about their expectations and ongoing projects in the territory. This has enabled our team to better interact and support our customers with our product offerings and full service solutions in Myanmar. I am very confident that with already established partnership with DKSH in the region, Cummins will meet its objective of powering a prosperous Myanmar for years to come”. Tony Brown, General Manager for Cummins DKSH (Myanmar) added, “After the removal of US sanction in Q4 of 2016 CDM and Cummins are ready support Myanmar’s requirements for new and improved infrastructure, We have ambitious plans to continue to grow capability and capacity and expand its market position in the country. This Brand Launch event marks an important step for this expansion. 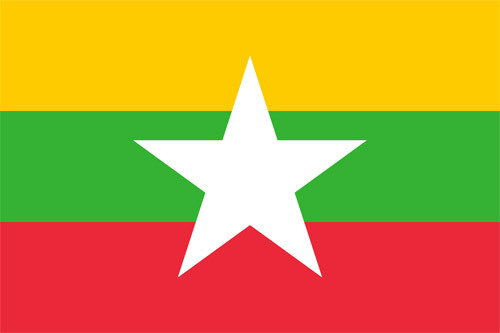 We are convinced that our products, which already have a worldwide reputation for innovation, durability and reliability, will suit the Myanmar market and meet the country’s requirements for future expansion and growth”. Milind and Tony both gave interviews for Myanmar National TV channels Skynet and MITV as well as addressing the numerous press outlets who covered the event. Host for the event was local celebrity Eaimt Phoo Phoo Aung and included Myanmar Traditional Dance as well as entertainment from Myanmar A-list pop stars Ni Ni Kyin Zaw and Myanmar Pyi Thein Tan.